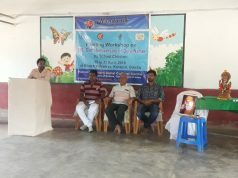 Report by Kahnu Nanda; Jagatsinghpur: The annual Rath Yatra festival was observed with much fanfare and gusto in several places of Jagatsinghpur district on Saturday. No untoward incident was reported during the festival baring few stray incidents as district administration and police had made elaborate arrangements for the safety and security of the devotees but monsoon rains occurred suddenly in some parts affected chariots pulling late. Rath Yatra is popular in six major places in different blocks of the district such as Sidhal, Dhyana Kuda, Garei, Sarabanta, Gadakujanga and the port town of Paradip. The festival is also observed in almost all the villages and hamlets across the district. District project director [DRDA] Biswajit Das attended the Siddhal Rath Yatra, six km from Jagatsinghpur town and performed the sweeping ritual. Nearly, 10,000 devotees form surrounding villages had congregated at the place and chariot pulling was late due to incessant rains occurred in evening. At Dhyanakuda Jagannath Temple in Biridi block, chariot pulling was started after 4 pm. Pramoda Nandi, the local designated king, performed the sweeping ceremony and Baba Arakhita Das titled Shankaracharya of the Pitha coordinated the celebration. 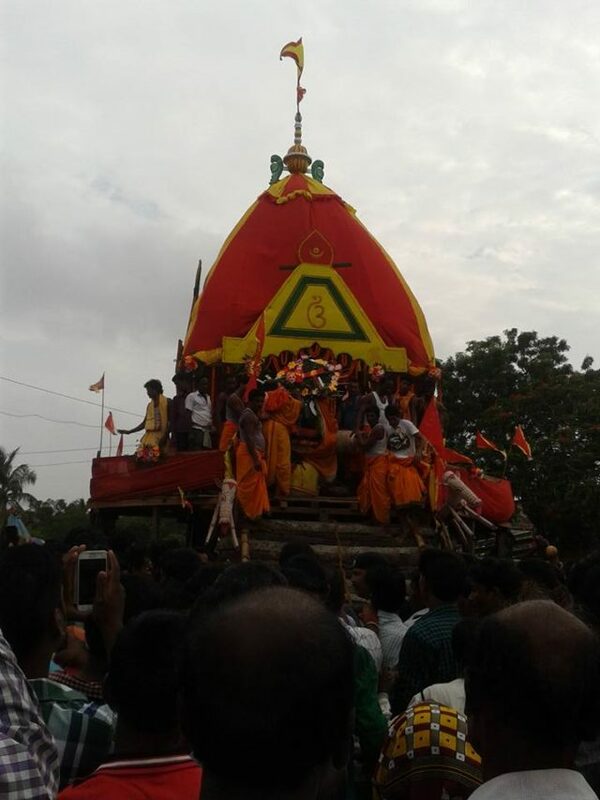 The Jagannath temple at Garei in Naugaon block also witnessed about 20,000 devotees in spite of rains occurred on Saturday post noon, for the first time this year Maa Subhadra chariot was pulled by women and adolescent girls from localities. Local gentleman Kedar Nath Biswal performed sweeping traditions. In coastal Erasama block Rath Yatra was held At Sarabanta Jagannath Temple in Gadaharishpur gram Panchayat (GP), a huge crowd had turned up witnessing this yearly auspicious occasion. 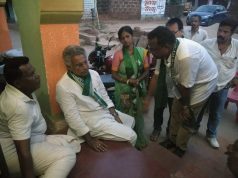 In Para dip port town the combined strength of Muslims, Christians and Hindus pulled the chariots and PPT Chairman Rinkesh Ray performed the sweeping rituals of Rath Yatra and chariot pulling was started after 4 PM. The most glittering Rath Yatra was observed at Kunjabihari Temple in Gadakujanga GP near Kujanga on Saturday, where the chariot is pulled day after. On the day of the Rath Yatra, all rituals are performed but the deities take rest in the chariot till the next day. 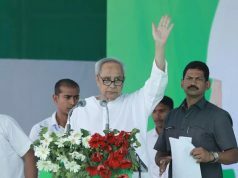 As per the tradition, the sweeping act had performed Para dip MLA Damodar Rout on Saturday .